Have you run into those oh so helpful articles or blog posts that give you wonderful tips like “reduce stress,” “eat healthier,” or “take time to rest”? Yep, me too, and I’ve been guilty of that myself here on the blog from time to time. Well, with this new blog series on “What I’m learning about rest,” I aim to change that. When you are looking for answers, even simple action steps, these vague tips, and suggestions are so frustrating. I think that is one reason Rest became my 2018 Word of the Year. The more I learn I realize 1) I don’t rest well, and 2) I often rest wrong! 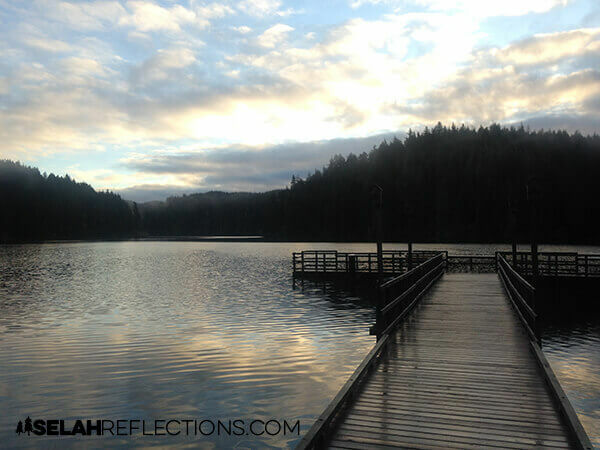 One way I’m pursuing my word Rest is by blocking out time each week to dive deeper into my word and start to really and truly understand what it means to rest. What is it? How does one rest? Is rest more than sleeping and napping? How much is too much? Changing one’s approach to rest is not something we can magically learn overnight and suddenly be good at it. It is a journey of small changes and deliberate daily decisions. I should note here, “small changes and daily intentional decisions,” is a recurring theme throughout this new series. You will see it often!! One thing I’ve noticed right away is that there are different types of rest. To start with, I’ve created a list of 5 different types or categories of rest. 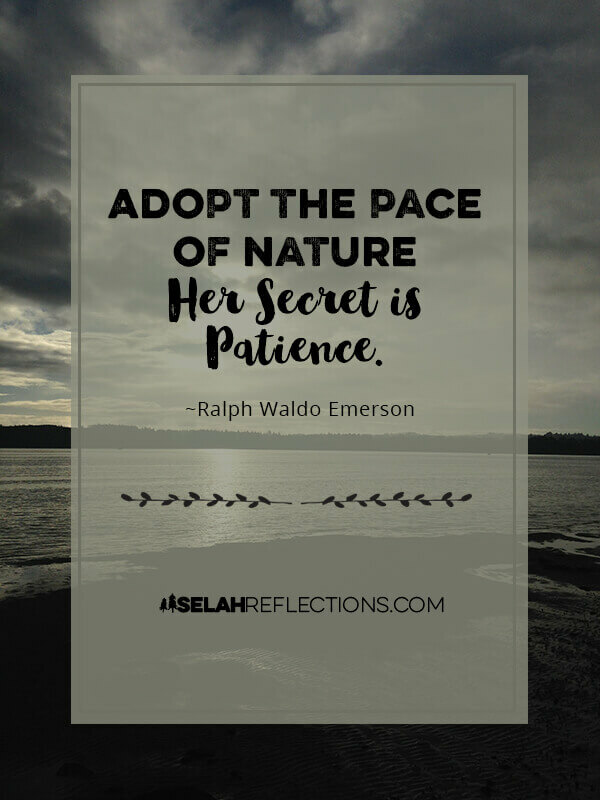 For the first post in this series, I’ll be focusing on “Pacing” your activities and managing your energy. The idea of pacing came from several different sources over the past few months, even before I had selected my word of the year. 1) “Little by Little Is Progress” Lara Casey. Small steps each day accumulate overtime to bring about significant results. We don’t have to tackle it all today, right now. When we get overly ambitious and not pace ourselves, we will burn out, get discouraged and feel overwhelmed. 2) “Finish” by Jon Acuff: A book I highly recommend by the way. In it, Jon talks about how perfectionism is our biggest battle in going after goals and completing projects. I’ve never considered my self a perfectionist before, but the way he describes perfectionism, I can see how I have allowed it to sabotage the pursuit of goals. And one particular way is how we tend to charge after our goals the first couple weeks in January then have a bad day or two and give up. In other words, we don’t pace ourselves, and when we hit a roadblock, we quit. It doesn’t matter if the goal is to lose weight, change our eating habits, run a marathon, or learn a new skill, it takes time and effort. Most often it’s the small daily decisions that make the biggest difference. And when we fail miserably and eat that bag of chips? We have to decide to give ourselves grace and get back on track. It’s the (often small) daily healthy decisions that help us meet our goals. 3) Pain Management: I was looking at the concept of Active Rest and Passive Rest, and the idea of pacing struck a chord. Activity/Pain: A vicious cycle of overactivity, pain, and then forced rest.Overactivity —> Which Leads to Pain —> Which Forces Us To Stop —> We feel better and then get overactive again causing another flare-up of pain.We’ve all done it! After being sick or injured we start to feel better, overdo it and take several steps back in our healing journey. 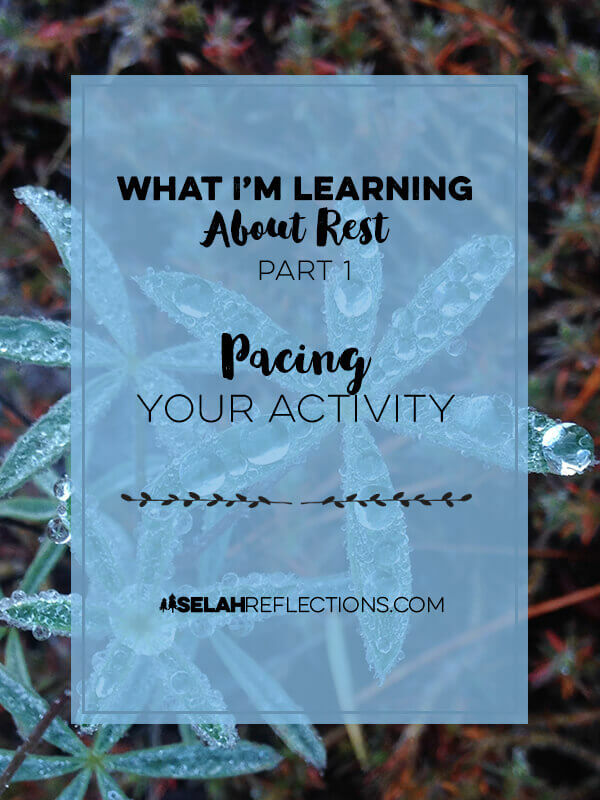 Activity/Rest: A paced journey of activity and rest.Activity —> Rest —> Activity —> RestThis way you are pacing yourself as you heal and taking huge steps backward in your healing journey. Plus as you get healthier and stronger you can increase the level of intensity of the activity and need less rest. This balanced approach to healing and recovery is what helps you improve both physical and mental health. In an ideal world, we would have balance and be able to pace our activities day in and day out. Well, we all know we do NOT live in an ideal world and to be honest, balance the way it gets talked about in the media, is a myth. Personally, I think balance is more about seasons and cycles. Right now my season is to learn to rest, to learn to pace myself better and allow healing to occur. There are times we are crazy busy, and there are times we can slow down, the idea is to find ways to incorporate rest into your life, right now, and not put it for off. Putting off rest is something you will pay for in the end as you start to experience health problems, depression, or anxiety. It will happen if you don’t make a point of resting now. Learning to pace your activities with periods of rest is a simple way to get started. I’ve heard about the Pomodoro Technique for years and have even tried it a few times but couldn’t stick with it. In the past few weeks I’ve been working on my pacing, and the idea behind Pomodoro is helping to make a difference a difference. This productivity technique where you set a timer and work for 25 minutes and then take a 5-minute break. You do this for four rounds, and then you take a long break. It’s a simple way to pace your activity and not overdo it. Bailey sure likes it! With these breaks, we tend to go outside more :). I’m working on adding this back to my routine as it makes such a huge difference! My house is small, but when I try and tackle all the cleaning in one chunk, it causes exhaustion and a flare-up of pain. By breaking up the cleaning and doing it in 10-15 minute chunks of time each day, the house stays cleaner, and I don’t overdo it. Flylady anyone? Another example of pacing an activity so that it is doable and not overwhelming. I’m a lister. If it ain’t written down, it ain’t getting done. I’m also an over-achiever lister in that I make huge lists that are impossible to get through. So I push myself and try to get as much done as possible, overdo it and pay for it the next day. Plus then I’m discouraged at my apparent lack of progress. This month, I’ve gotten my daily Bullet Journal set-up. And, yes I’ve officially jumped on the Bullet Journal / Travelers Notebook bandwagon click here if you want to see what I’m talking about. In my daily journal, I have intentionally kept my daily list of to-dos short as possible. In a separate section, I keep a wish list of to-dos or things I don’t want to forget on a “braindump” page of my journal. Items get crossed off my list as complete, and it is not so discouraging to see a whole list of tasks not completed. There is great satisfaction in crossing an item off a to-do-list don’t you think! There’s nothing earth-shatteringly original here. Pacing is just one way to cultivate a habit of rest instead of overdoing it one day and hitting a wall the next. It’s the daily decisions we make each day to make little by little progress and give ourselves grace on the days we fail. I could add a few more cliche’s to the paragraph above, but, cliche or not, they are all true! How Will You Pace Yourself This Week? As you read through the three ideas above did any catch your attention? What is one way you can cultivate a habit of rest by adding pacing to your schedule this week? Hi Marta~I really wish I would have read the whole post before I jumped into a new routine today. I started it at a time when I couldn’t finish it all and enjoy it, so I put it off until today. I tried to do the FlyLady House Blessing, in 10 min each task, this morning. With doing each one after another, it was when I was almost done I noticed my heart rate was too high and I wished I had rested in-between. Now I feel all tuckered out. I too attack a long to-do list as if I am whacking a garden snake! If I just have a few things then anything else I do is gravy! There is a spot in your post you mention about the bullet journal you put together, and to “click here”, but I couldn’t find a link. Did I miss it? Is the link about how you set up yours. I’d be interested to see how you did. It’s overwhelming looking at all the pictures people post. I just tried the Erin Condren, eh. It really seems too much to look at all at once. Oh, my! Then you add stickers….whew. Never really been a “load it on” sticker gal. I love stickers and washi, but not so much I can’t find what I wrote. I hope you are having a great Monday. I am. Now that I’m done with all my tasks, I need to R & R so I am going to work on an inspiration board my N.P. asked me to do. I’ve never done one before, but cutting out pictures that make me smile from old magazines is fun. Then I glue them on a poster board. Oh no! Thanks for saying something, I forgot to add that link in. It’s been added now – but I meant to add this link: https://theartofsimple.net/bulletjournal/ as an example of a super simple, nothing fancy, bullet journal as a planner. This inspired me to not have to be fancy but to get the basics of what I needed. I’ve been a sticker collector since childhood I just never use them LOL. This gives me a great excuse to use my colored pens, stickers and Washi tape. Washi is also great when I need to cover up a glaring mistake I don’t want to look at any more :). Let me know how the vision board goes! It’s been a long time since I’ve created one from magazines, fun!